With an average elevation of over a mile, Beaverhead County sits in the southwestern corner of Montana. Much of its boundary is formed by the Continental Divide. 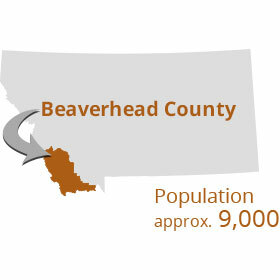 Encompassing an area slightly larger than the state of Connecticut, Beaverhead is the largest county in Montana. However, Beaverhead County is sparsely populated. 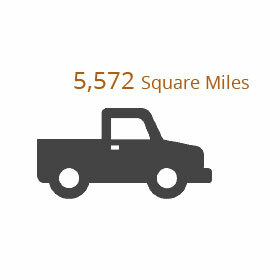 It ranks 25th of Montana’s 56 counties, having an average population density of less than 1.7 people per square mile. 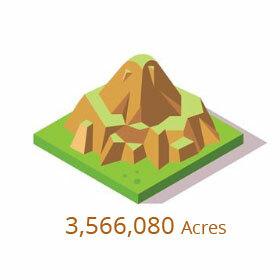 This sparseness in population can be attributed to nearly 2/3 of the land being comprised of public lands including the Beaverhead Deer-Lodge National Forest, Red Rocks Lakes National Wildlife Refuge, Bureau of Land Management and State Lands. The economy is driven largely by agriculture, particularly cattle and hay production. As of 2012 the county had an inventory of 153,655 cattle and calves, the highest among Montana counties. That’s an average cattle population density of 27.6 per square mile! Beaverhead County contains alpine mountain ranges, pristine lakes, and wide open valleys traversed by the headwaters of the Missouri River, including the Big Hole, Beaverhead, and Red Rock rivers. Boasting these blue-ribbon fisheries as well as the large percentage of land accessible to the public, Beaverhead County is a popular destination for recreationists. Beaverhead was one of the nine original counties formed in 1865 before Montana became a state in 1889. Its name is derived from a rock formation which the Shoshone tribes described as being shaped like a “beaver’s head”. Beaverhead Rock is noted as an important landmark in the Journals of Lewis and Clark and assisted Sacajawea as she guided the expedition through Southwest Montana. Originally the county seat was Bannack, Montana’s First Territorial Capital, which is now a popular ghost town. In 1881 the county seat was moved to Dillon, the largest town which currently has approximately 4,000 residents. Other towns and communities within the county include Dell, Glen, Grant, Jackson, Lima, Polaris, Wisdom and Wise River. Dillon is home to the University of Montana Western with a current enrollment of over 1,500 students. 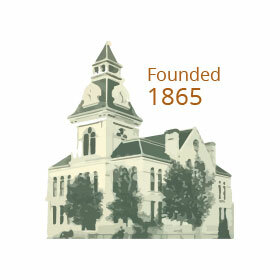 The college was founded in 1893 as Montana State Normal School, a center for training teachers. Since then it has evolved into a modern university offering a variety of associate and bachelor degrees. It is the only public university in the U.S. utilizing an “Experience One” schedule which allows students to take one class at a time. Built in 2012 to replace Barrett Memorial Hospital, Barrett Hospital and Healthcare in Dillon provides a state of the art medical facility to area residents. It has been rated in the Top 100 Critical Access Hospitals among more than 1,300 similarly-sized hospitals across the nation. Lastly, transportation access in Beaverhead County is provided by approximately 85 miles of interstate highway, I-15, which roughly parallels the Union Pacific Railroad from North to South, many state highways and county roads, and a modern County airport with a 6,500 foot runway. The airport serves light aircraft as well as large corporate jet traffic. Beaverhead County has a lot to offer! Hopefully this website will provide an easy access to our local county government and the people who serve you! Sign up to receive emergency alerts on your mobile phone using the form below. You can also text your ZIPCODE to 888777 to receive alerts from Beaverhead County. Every Wednesday from 8 a.m. to 5 p.m. (closed from 12-1 for lunch) there will be an eligibility worker available to help complete paperwork needed or to answer questions about SNAP, Medicaid, Healthy Montana Kids, or TANF. This person will be located at the Beaverhead County Resource Assistance Center at 205 E. Center Street, Dillon (County Treasurer’s Office Building). The Beaverhead County Mental Health Local Advisory Committee has been able to successfully open the Beaverhead County Resource Assistance Center and will be able to help residents gain access to services and programs such as job service, assistance applications, and mental health referrals. They are located at 205 E. Center Street in the former Department of Revenue Office.